Brig. Gen. Brook Leonard, 56th Fighter Wing commander, shakes hands with Georgia Lord, city of Goodyear mayor, during the Great American Defense Community award presentation March 25, 2017, at the Goodyear Ballpark in Goodyear, Ariz. The Great American Defense Community Award symbolizes the support Luke receives from the West Valley Partners. Brig. 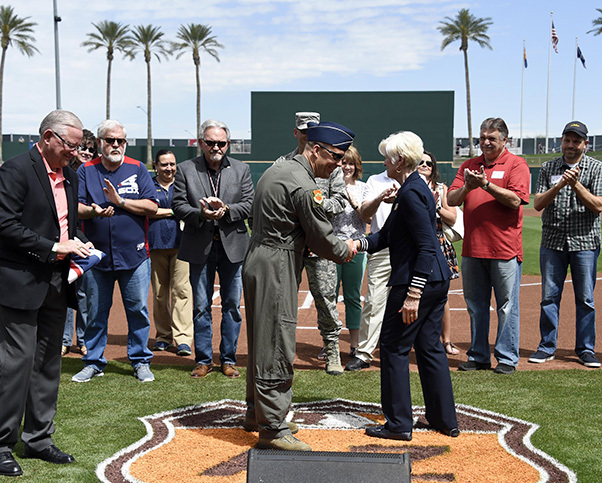 Gen. Brook Leonard, 56th Fighter Wing commander, joined the West Valley Partners to receive The Great American Defense Community award March 25, 2017, at the Goodyear Ballpark in Goodyear, Ariz. 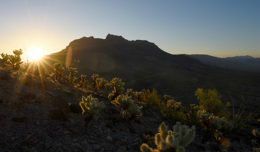 The partners are a group of 14 local jurisdictions within the greater Phoenix metropolitan area that support and advocate for Luke Air Force Base. The Great American Defense Community program was designed to recognize and celebrate communities whose exceptional commitment to improve the lives of service members, veterans and their families and serve as a model for all communities. 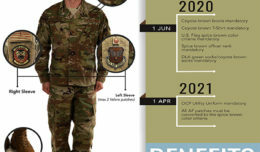 “The ADC recognize those communities that go out their way to support the military families, war fighters and veterans,” said Mike Cooper, Association of Defense Communities chairman. Celeste Werner, ADC vice president and Phoenix representative, spoke to the community about the partnership between Luke AFB and the surrounding communities. Brig. 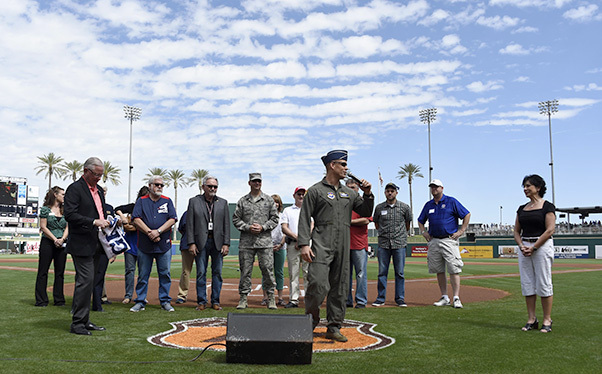 Gen. Brook Leonard, 56th Fighter Wing commander, speaks to members of the Goodyear community during the Cleveland Indians and Chicago White Sox Spring Training game March 25, 2017, at the Goodyear Ballpark in Goodyear, Ariz. Leonard thanked the leaders and members of the community for the strong partnership Luke Air Force Base has with the surrounding communities. Georgia Lord, City of Goodyear mayor, talked about the support of the Greater Phoenix area has for Luke. After speaking, Lord introduced Leonard for a few words before he had the opportunity to throw out the first pitch of the game. Brig. 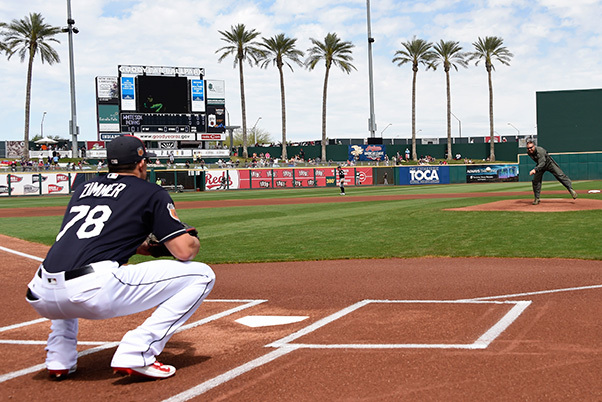 Gen. Brook Leonard, 56th Fighter Wing commander, throws the first pitch of the game between the Chicago White Sox and the Cleveland Indians to Bradley Zimmer, Cleveland Indians center fielder, March 25, 2017, at Goodyear Ballpark in Goodyear, Ariz. Leonard threw the first pitch as part of the celebration to mark the Great American Defense Community Award being awarded to the West Valley Partners.